Angela Morin has partnered with healthcare professionals and provided input into policy and facility design, quality improvement and program development as a Patient and Family Experience Advisor at Kingston General Hospital since November 2011. She currently sits on both the Kingston General Hospital and the Southeast Regional Cancer Centre Patient and Family Advisory Councils as well as Accreditation Canada’s Client and Family-Centred Care Advisory Council. 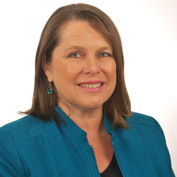 She is a faculty member for the Canadian Foundation for Healthcare Improvement’s (CFHI) “Partnering with Patients and Families for Quality Improvement” collaborative. Ms. Morin’s experience supporting a close friend through her breast cancer journey continues to motivate her to bring the patient’s and family’s voice to health care.